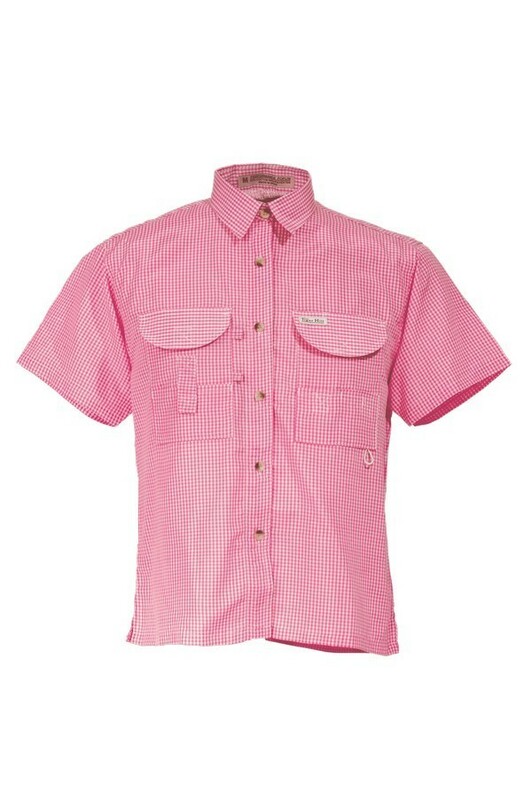 This fishing shirt is a light Gingham cotton/poly, Embroidery Friendly, Stain & Wrinkle resistant performance fabric. Vented back allows air to circulate freely and enhances freedom of movement. Short Sleeves. Right & Left Velcro Pocket. Straight cut for that feminine look.